Our program in partnership with Spring Rewards is built into the credit or debit card you already carry. There is nothing to print, present or remember. 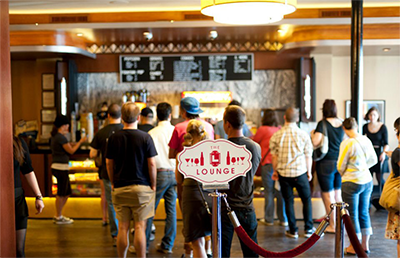 Earn $10 for every $200 you spend at The Logan Theatre. Sign-up is easy--you only need a valid credit card and email. As a cornerstone of Logan Square for generations, The Logan Theatre has survived and evolved thanks to it's many loyal customers. In recognition of this, we invite you to join our loyalty program that will offer discounts and specials to our members. Spring automatically tracks your progress. Rewards are credited in 3-5 days, and you will receive real-time emails notifying you of your earnings. Please consider joining!